Suzette Tomlinson has been a licensed Real Estate Broker in Chicago since 2016. With a background in luxury sales, Suzette has a keen eye for real estate with an attention to detail. 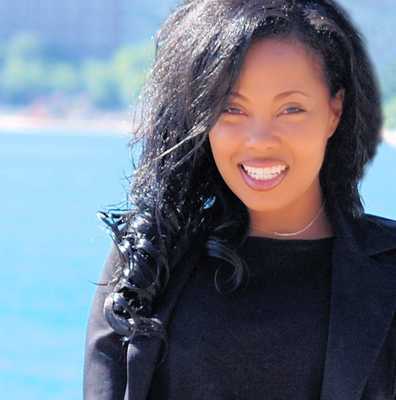 Whether you are looking to Buy, Sell or Invest, she is an expert REALTOR© in the city of Chicago, and she brings a wealth of knowledge and expertise to the table. After living in Los Angeles, CA for 10 years, Suzette returned to Chicago in 2015. Her warm personality puts Buyers & Sellers at ease, while her integrity and hard work earns trust and builds relationships. It's not the same everywhere, so you need someone you can trust for up-to-date information. Suzette has a genuine love for helping people, and has mastered the art of active listening, with solution oriented results. "It is a pleasure to work with real estate agent Suzette Tomlinson. She recently sold my penthouse condominium in Lakeview. My unit sold after one highly successful open house, which resulted in multiple offers. She helped make the most of the open house by with care, guidance and strategic staging. A pleasurable and stress free experience. She was on top of it from pricing, market knowledge, viewing, resources and prompt showings". "Working with Suzette was a great experience! I am a young first time home buyer and I was super excited to buy my first condo! My mother found Suzette and I’m glad she did. She was extremely personalable, knowledgeable, and helpful throughout the buying process! Suzette was easy to reach and worked around my schedule to effeciently stay on track! Overall it was a great experience & I highly recommend!" "Suzette was a delight to work with professionally. Very knowledgeable about the community and property we were purchasing. Her response time for any realty information and scheduling showings were quick. I would recommend"